Verdict: This might be one of the best new network shows this season. Before I watched this show, I kept hearing about some “high concept twist” that happened towards the end of the pilot. Some critics even compared it to Lost and I had no idea what they were talking about. I started expecting some “they are all dead” scenario or an Alien invasion or something crazy like that. That’s not it. And yes, there is a twist and it is great. But I don’t want to spoil it. Furthermore, I have to congratulate the person at NBC that decided the twist should not be spoiled in the trailers [which is what usually happens with this type of apparently low concept shows]. Without crossing into spoilery terrain, This is Us is a drama about a group of people who share the same birthday. The characters are very compelling and fleshed out. You have an overweight woman trying to turn her life around and her TV -star twin brother who has outgrown the sitcom that made him famous [“Man-ny”, a show about a male nanny]; then you have a successful family man who never got over the fact that he was abandoned at a fire station when he was a baby and, finally, a young soon-to-be dad whose wife is expecting triplets. This is Us is a subtle family drama in the vein of Parenthood, but it has a lot of unexpected humorous moments [perhaps a bit closer to Brothers & Sisters]. It also has a lot to say about modern society, the obsession with fame and the importance of family. 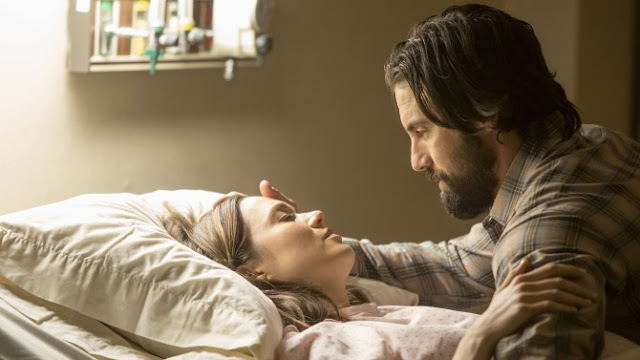 This is Us has heart, it is different, it feels honest and then there’s the twist, which just makes it all the more brilliant.